Global 2013-14 cotton mill use is forecast at 110.4 million bales, up 2% from 2012-13, reflecting a favourable world economic outlook. China’s 2013-14 mill use if forecast at 36.0 million bales, unchanged from the previous year, and accounting for one-third of global consumption. China’s continuing policy of cotton purchases for the national reserve has maintained a domestic cotton price above world market levels. India’s 2013-14 cotton consumption is forecast at a record 23.5 million bales, up 3% from a year ago. The 2013-14 India mill use forecast represents 21% of world cotton consumption, up 2% per from the preceding year. Pakistan’s 2013-14 cotton mill use is forecast at 12.0 million bales, up 4% from the previous year and the third consecutive year that annual mill use has increased. Indonesia and Thailand are forecast to consume 2.45 million bales and 1.6 million bales, respectively, in 2013-14, up 4% and 7% from a year earlier. Vietman’s 2013-14 mill use is forecast at 2.35 million bales, up 7% from the previous year. Turkey is forecast to consume 6.1 million bales in 2013-14, a 2%(100,000 bales) increase from the preceding year, and a 6% share of world cotton consumption. Brazil and the United States are forecast to use 4.2 million bales and 3.5 million bales, respectively, up 4% and 3% from the preceeding year. 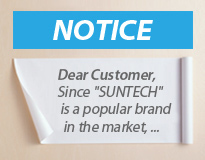 SUNTECH, one of the leading designers & manufacturers on textile machines for weaving and finishing units, especially for Fabric Measuring Machines.